Heat a non-stick skillet over medium heat. Ladle about 3 oz. the batter into the pan, tilt the pan to spread the batter as thinly as possible. 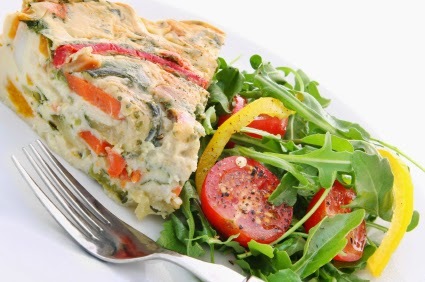 Cook for several minutes until the batter thickens in the middle of the pan. With a heat resistant plastic spatula flip the crepe over and cook until the edges curl slightly. You may cook until lightly browned if desired. Turn over a small saucer, layer the cooked crepes flat around the saucer to cool. 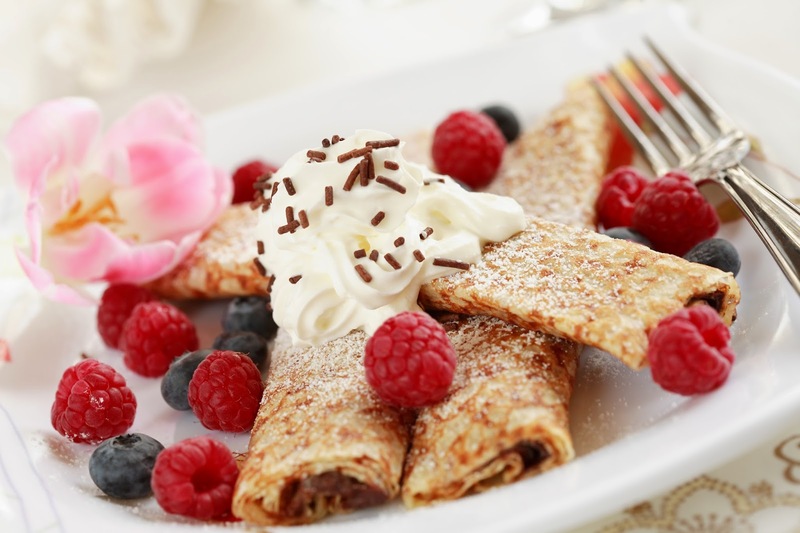 To serve, fill crepes with cream cheese and Nutella mix and fresh berries. Garnish with Whipped cream, berries and fresh mint. Discover hands-on science and a world of new ideas when you visit the Montshire, one of the country’s top science museums. What an amazing place! My kids LOVED it. All our future trips to Vermont will include a trip here. I would recommend it to everyone with small children the exhibits are all hands on and there is something new to do every 30 minutes. 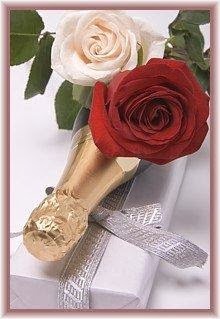 I give them a 100 out of 10!!! J.M.C, facebook post More than 125 permanent exhibits indoors and out Nationally touring and featured exhibitions Andy's Place—a special area scaled to size for visitors five and under and their caregivers 100 acres of trails, outdoor exhibits, a Woodland Garden, Science Park, a walking tour of the solar system, and during the warm-weather months, the most intelligent water park in New England. Regional visitor center for the Silvio O. Conte National Fish and Wildlife Refuge. See artisans at work, taste fresh beer and local cheeses, and stroll through an enchanting riverside sculpture garden. Minutes from I-91 and St Gaudens historical site. Great way to spend the day! 8 Attractions in One Location! Harpoon Brewery, Simon Pearce Factory Outlet, Path of Life Garden, Great River Outfitters, SILO Distillery, Superfood Cafe, Vt Farmstead Cheese & Sustainable Farmer. 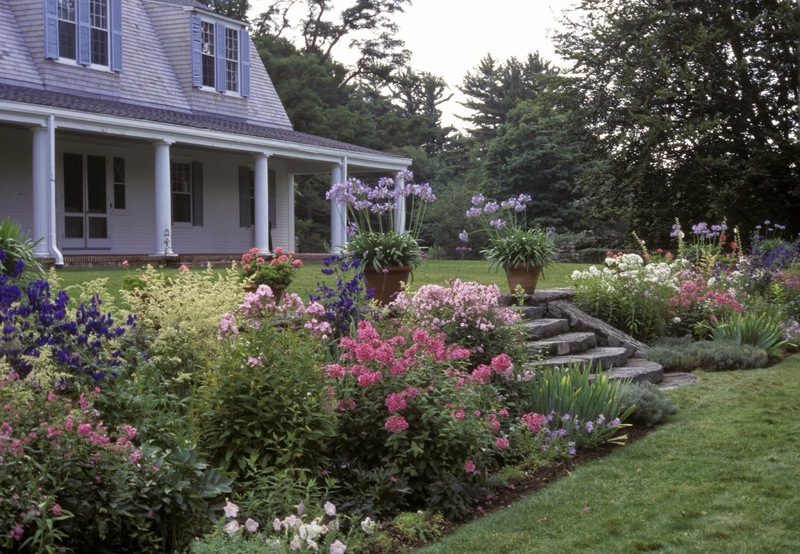 Discover The Fells Historic Estate & Gardens On Lake Sunapee, 456 Route 103A Newbury, New Hampshire The Fells Historic Estate & Gardens is one of New England’s finest examples of an early 20th-century summer estate. Come and discover 83.5 conserved acres of beauty and tranquility; learn the legacy of its founder, diplomat and statesman John Milton Hay, during historic guided tours of the 22-room Colonial Revival home; explore forest succession and nature’s diversity while walking woodland trails; and enjoy the renowned gardens. CONCEIVED IN THE MID-EIGHTIES by a group of creative environmentalists associated with the Ausbon Sargent Land Preservation Trust, the Society for the Protection of N.H. Forests, the Lake Sunapee Protective Association and with local conservationists, the Sunapee-Ragged-Kearsarge Greenway Coalition has evolved into a dynamic, non-profit corporation led by directors whose towns have SRKGC trails: Andover, Danbury, Goshen, Newbury, New London, Springfield, Sunapee, Sutton, Warner and Wilmot The Greenway’s mission is to create and maintain a forever-green great circle of trail corridors and protected lands providing walkers with access to the mountains, lakes, vistas and historical sites of the region. 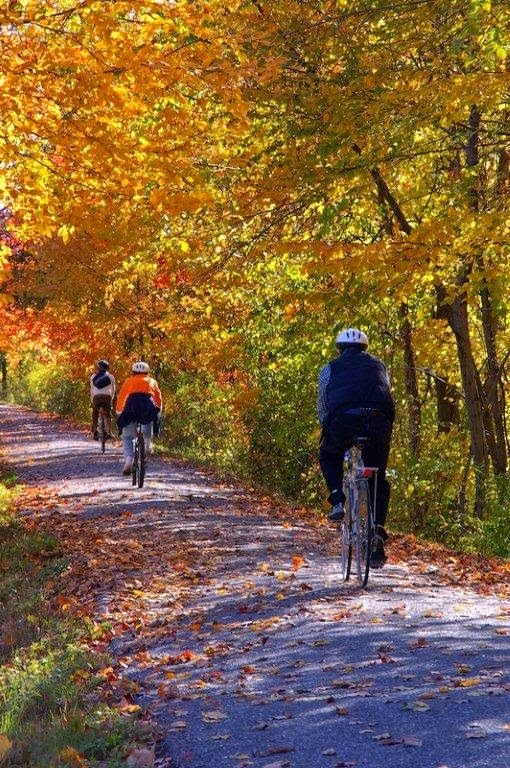 The "necklace" of more than 75 trail miles was created with the cooperation of private landowners and local and state authorities. It passes through forests, over mountains, and via old Class VI roads. Many of these roads were used extensively as many as two centuries ago. Maintaining the Greenway, improving its pathways and creating new ones, some to form links with other famous hiking areas such as Monadnock and Cardigan mountains, are tasks undertaken by SRKGC members. Your membership, and offer to help, will always be welcome. Canterbury Shaker Village offers visitors a variety of entertaining, educational and engaging experiences in one of the most picturesque settings in northern New England (get directions). Guided and self-guided tours, accessible historic buildings, family activities, exhibits, educational programs, special events, unique shopping, exceptional dining and breathtaking grounds offer you more than you can do in a day. All exhibits, guided tours, self-guided tours, craft demonstrations, special events, and access to the Village grounds are included in the price of admission. Click here to view our calendar of events and programs. Weekends in May: 10:00 – 5:00 pm. Tarbin Gardens is the destination for nature lovers, bird and butterfly watchers, photographers and artists, and, of course, for garden enthusiasts. 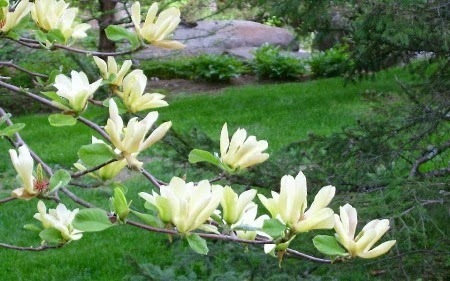 Flowering trees, shrubs and perennials fill the English landscape style gardens creating a parade of new vistas. There is always something new to experience.. Five acres of gardens exhibit the diversity of native and exotic plants, trees and shrubs that can be grown in central New Hampshire. It is located in the town of Franklin and only about 45 minutes from the Rosewood Country Inn. Spend an afternoon...have tea. The Canopy Zip-Line Tour, located on Mount Sunapee's South Peak features a series of ziplines, rope bridges and rappelling as you descend from the summit. There are eight ziplines in total highlighted by the final 1,000’ dual zip-lines to a platform behind the Welcome Center, from which you will rappel back down to earth. From the first tree platform to the last platform you will travel a distance of almost ¾ of a mile above the forest floor. Groups of no more than eight are lead by two guides as you fly through a canopy of oak, beech, maple, birch and evergreen trees. There are six ski trail crossings that offer spectacular views of the surrounding mountains and Mount Sunapee. Reservations strongly recommended. Now taking reservations. Call 603-763-3564. We operate rain or shine, so please dress appropriately. 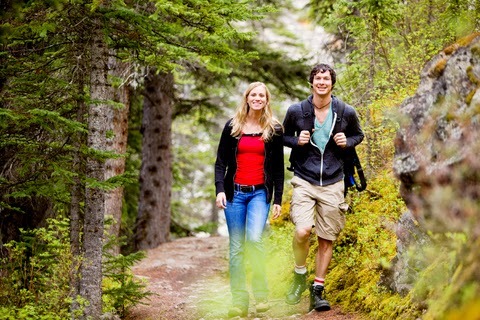 We recommend hiking boots or sneakers, but no open-toed shoes, sandals, or other footwear that can fall off. Dress in layers. We suggest shorts that fall mid-thigh or lower and either short or long sleeves. No tank tops please as the harness straps may cause discomfort. You will be provided safety equipment including a helmet. behind by rail salvagers and decked the many bridges along the line. Mascoma River, crossing it seven times in just the first few miles. Enjoy an evening of New Hampshire's best summer stock theater! 2014 Summer ScheduleJune 5-8: "57th Annual Straw Hat Revue"
June 11-22: "A Little Night Music"
June 25-July 13: "Damn Yankees"
July 16-27: "Monty Python’s Spamalot"
July 30-August 3: "Over the Pub"
August 6-17: "Kiss Me, Kate"
August 20-31: "Dial 'M' for Murder"
Things To Do In NH This Summer! Franklin Pierce Homestead is operated by the Hillsborough Historical Society, is the boyhood home of America's fourteenth president and is a spacious and beautiful, federal style country home. Built by Pierce's father in 1804, it reflects the gracious and affluent living of the nineteenth century. A ballroom, which extends the entire length of the second floor, was used for entertaining neighbors and distinguished families of the state and nation. Franklin Pierce shared Daniel Webster's dedication to national unity and led our country during the most trying of times, the time of slavery. Private tours & large group tours, both coinciding & outside the public hours & months, can be arranged. The Pierce Homestead is available, at a fee, for small private functions & meetings. This site is open on weekends of May 24th and May 31st, 2014. It will be open Fridays, Saturdays and Sundays from June 6th through June 26th and Friday through Tuesday from July 1st to September 1st, 2014. Then, it is open Fridays, Saturdays and Sundays from September 5th until it closes for the season October 13th, 2014. Operating hours are 10 am to 4 pm, with the last tour at 3 pm. Two Boats– Two very different and enjoyable experiences on Lake Sunapee. Experience the FUN of a scenic daytime excursion on the MV MT Sunapee II or enjoy an evening dinner cruise aboard the MV Kearsarge Restaurant Ship. Come aboard, relax, enjoy the wonderful scenery, settle into your deck chair or your table and listen as the Captain narrates the history, lore and points of interest of this beautiful pristine mountain lake. Departing from the town dock in Sunapee Harbor, NH Tickets for MV Mt. 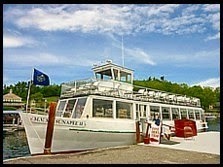 Sunapee may be purchased at the boat anytime after 1:00 pm on the day of the cruise. Reservations for the MV Kearsarge Dinner Cruises are recommended. Spring a Great Time for A NH Brewery Tour! 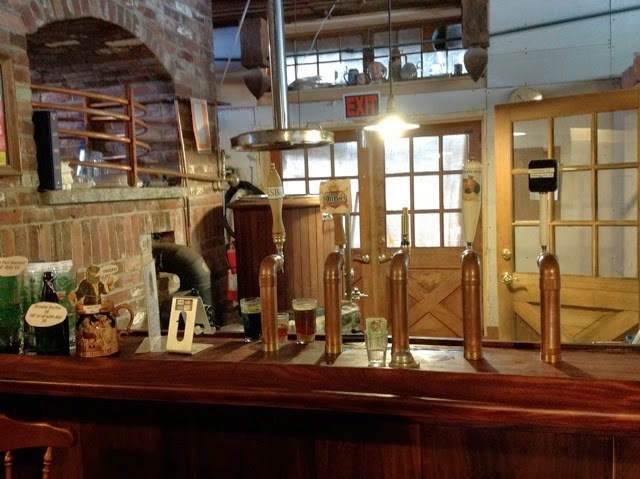 Canterbury AleWorks is a one barrel, water powered and wood fired showcase nano-brewery handcrafting world-class ales with local flare. Visit, watch the action and learn a bunch about beer and brewing! Spring Skiing and Snow Shoeing! Yes, we're back again! We can't help but continue to remind you of what's happening at our ski areas. Up to 14 inches of fresh snow fell across New Hampshire last night and this morning! Below are updates on snowfall totals, the snow has once again added to the base of snow at our downhill and cross country ski areas. We hope you plan to join us this weekend, it should be a classic winter wonderland, with even more snow in the forecast. Welcome to "spring"! The Granite State is home to some of the best breweries in New England. Enjoy the excellence and inspired diversity of fresh, handcrafted, New Hampshire-made beer. The State of NH publishes am online brochure and map to find a wide range of award-winning breweries, microbreweries and brew pubs throughout the state. Each establishment offers a unique experience for you, your family and friends. Heather Turner, from Forfeng Designs, has a few important things to say about innkeepers creating a video for their inn from photos. A Snow Storm Has Landed in NH! A Snowstorm has landed on PATS PEAK!We have lots of smiles around here thanks to a great mid-week snowstorm! Our furry friend, Punxsutawney Phil, was right when he saw his shadow on Groundhog Day! We are enjoying the 6 more weeks of winter with 9" of FRESH POWDER! for details. Stay in touch with our Snow Report for all the latest updates! Check out our Photo Gallery and Live Cams! 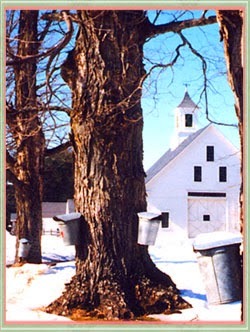 As spring approaches in New Hampshire, the days get longer, temperatures rise and buckets and tubing appear on the roadsides to herald the start of maple sugar season. To celebrate this annual event, the Rosewood Country Inn and area maple sugar houses are offering a Currier & Ives Maple Sugar Weekend March 21-23. This quintessential New Hampshire inn - is offering a weekend getaway amidst a backdrop that's right out of a Currier & Ives scene. The two night package includes a mapped, self-guided tour of neighboring sugar houses where guests can see maple syrup made the old-fashioned way, and learn the history of the time honored tradition from the Native Americans to the present. The guide also includes suggestions for antiquing and tax-free shopping, and areas for snow shoeing and cross country skiing. After a day of touring, guests can treat themselves to complimentary late afternoon hearty hors d'oeuvres at the Inn before going out to one of the local eateries for dinner. Winter doldrums have you down? 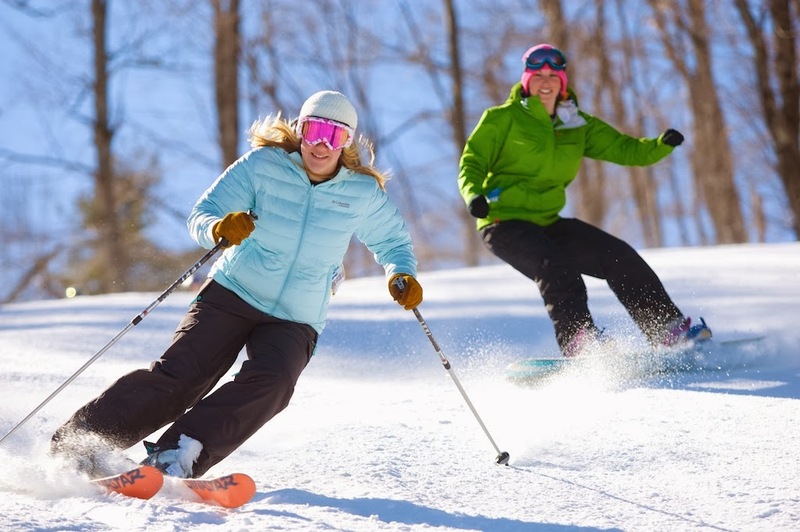 Join us for winter fun at The Fells! Come greet your friends and meet some new ones as well. From caring for house plants to family snow shoe hikes, we have something for everyone! To register for any of the programs below, call 603-763-4789 x3. Can't attend a class, but need your "Fells Fix"? Our grounds and trails are open daily to hikers, snow-shoers and Nordic skiers. Pack a snack and refresh yourself on the Veranda and enjoy the vistas of lake and mountain. You'll not find a better spot around to contemplate the peace and serenity of our natural world. For more information visit http://www.thefells.org. New reservations only. Cannot be combined with any other promotions.